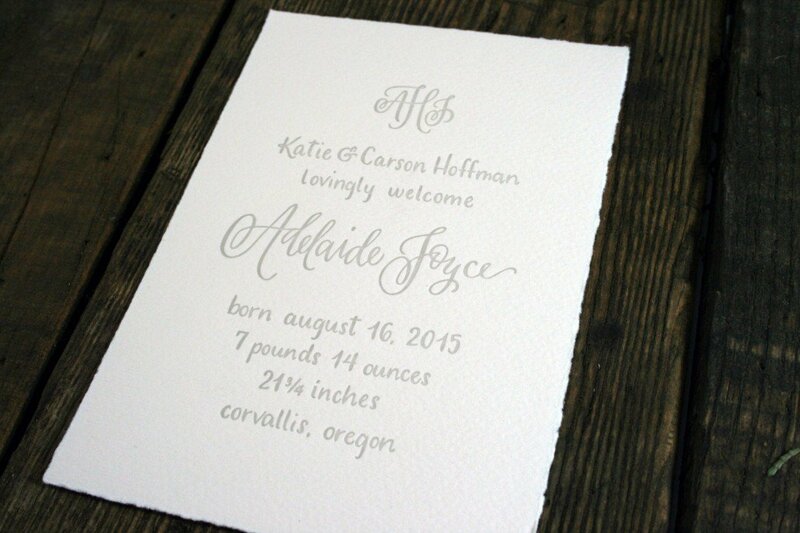 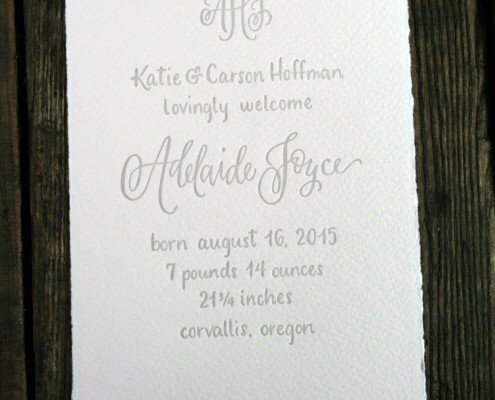 These gorgeous, classic birth announcements were created by very talented calligrapher, Katie Hoffman, for her first-born daughter, Adelaide. 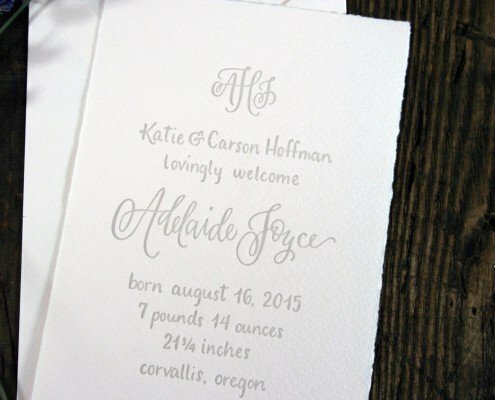 The entire piece was done with calligraphy, including the custom monogram at the top. 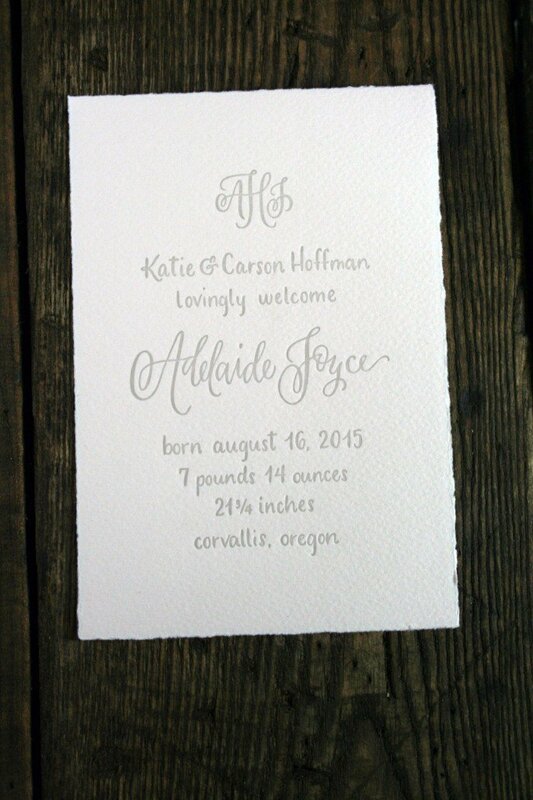 We letterpress printed Adelaide’s announcements in warm, light grey ink on 100% cotton Arturo paper in pale pink. 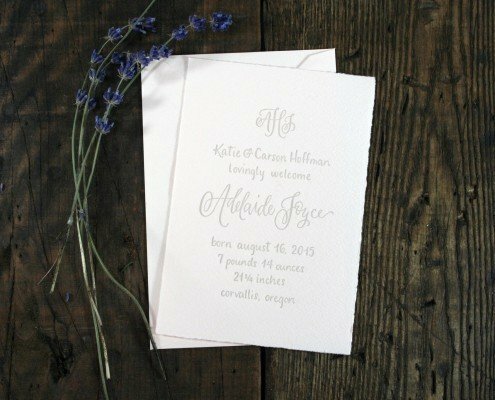 Arturo paper is mould-made to size, rather than being produced in a large parent sheet and cut to size, so each announcement has a natural deckled edge all the way around. 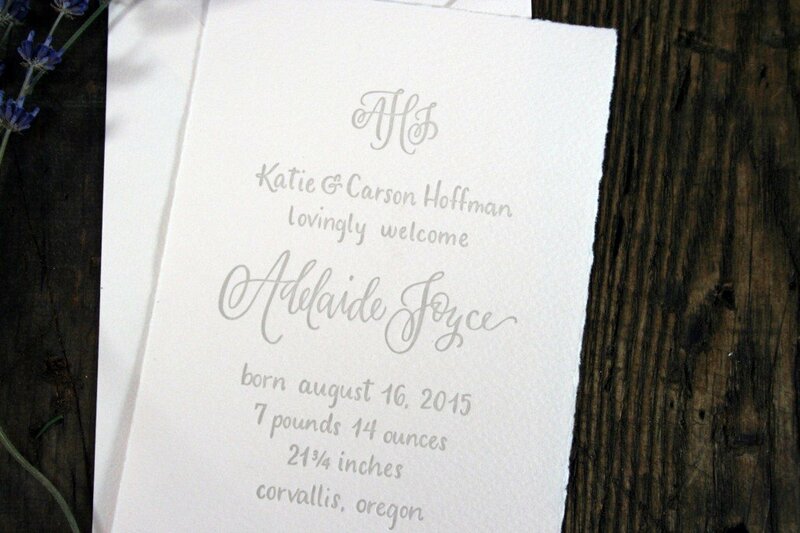 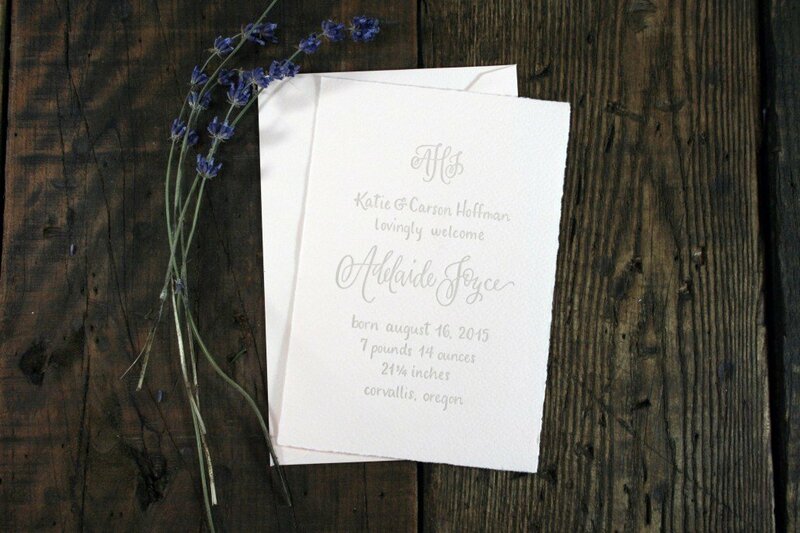 They were paired with matching pink Arturo envelopes that Katie hand-calligraphed herself.